Curcumin is the main component of the spice plant turmeric, which is used in curry and also for medicinal purposes. It is a water soluble orange-yellow colored powder. Up until 2009, curcumin was extracted from the dried roots of turmeric plants by a process called liquid solid extraction. But in a study reported in 2009 in "National Product Communications," researchers found that a better method, one that uses ultrasound in the extraction process, had been discovered. In liquid solid extraction, a solvent is added to a solid, such as a turmeric root. As the website DSB science explains, insoluble material is separated by gravity or vacuum filtration, and soluble material, in this case curcumin, is "extracted" in the solvent. A sequence of solvents can be used to separate complex mixtures into separate groups. The filtered solution can then be used as a liquid or the solvent can be evaporated to recover the extracted material in powder or crystalline form. In 2009, the U.S. National Library of Medicine website, PubMed, published an abstract from a study conducted at Jadavpur University in India. The abstract discussed an effective alternative to the liquid solid extraction of curcumin. Researchers discovered that the ulitilization of ultrasound in extracting curcumin was not only much quicker--70 minutes as opposed to many hours--the extraction could be done with greater recovery of curcumin on a more consistent basis. "This study clearly shows that this method can be effectively utilized for cutting down long extraction times of botanicals to just a few minutes without the aid of heat," the study authors reported. 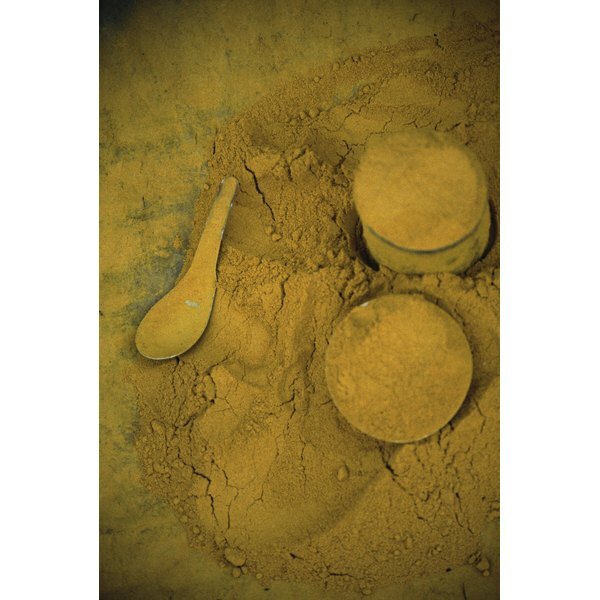 Quicker and better extraction methods of curcumin will aid research into the medicinal uses of curcumin and turmeric. According to Medline Plus, curcumin has already demonstrated antioxidant, anti-inflammatory, antiviral and antifungal properties. To take one example, curcumin has been found to inhibit the growth of the Helicobacter pylori bacteria, which has been linked to gastric ulcers and gastric cancer. In October, 2010, it was reported that curcumin, when combined with the drug cisplatin, "enhances chemotherapy's suppression of head and neck cancer cell growth." The study, conducted by researchers Eric Srivatsan and Marilene Wong, who have investigated curcumin's anti-cancer properties for six years, builds on previous research demonstrating curcumin's ability to suppress growth of other cancers. Curcumin and turmeric are being studied for their effectiveness against a wide range of other conditions, ranging from arthritis to Alzheimer's disease, according to Medline Plus. Curcumin is used as a coloring agent in many foods, including mustard, margarine, processed cheese, curry powder, soft drinks, cakes and candy. Women in India have long used turmeric as an anti-aging lotion, for cramps and as an additive in cosmetics. Turmeric is likely safe when used in food. It is possibly safe when used in medicinal amounts, although side effects can include nausea or diarrhea. Pregnant women should not take curcumin, because it could cause a miscarriage.